Dimensions is one of the most exciting events in the Croatian festival calendar, attracting Dance music aficionados from all over the European continent. 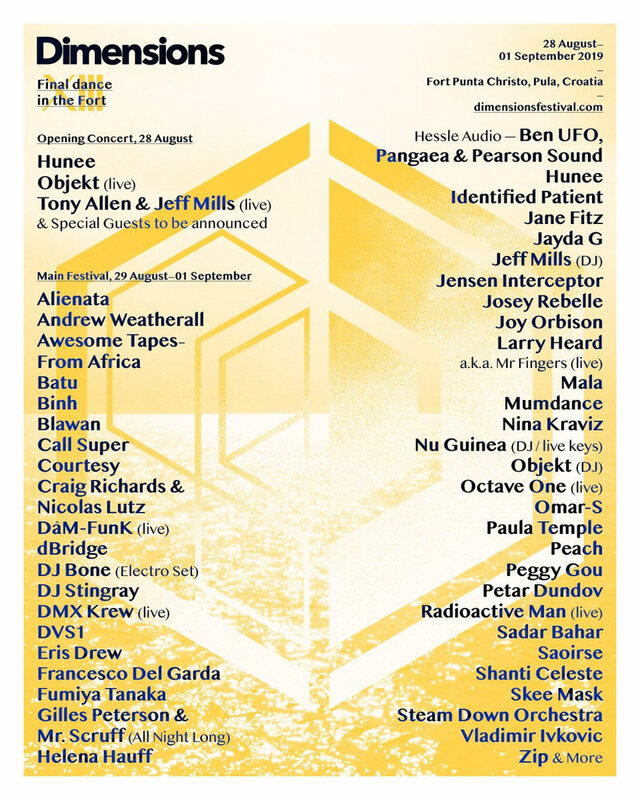 It has gained a reputation for putting on a truly cutting edge line-up that pulls together some of todays top underground production and DJing talent. Dimensions is held in the same disused fort location at Punta Christo in Croatia as the famous Outlook festival. It’s often called Outlook’s sister festival as it takes place just a week before this well known event and party heads with the stomach and silver to go the whole distance can buy a special ticket to gain entry to both. Expect nothing less that the coolest names in European and American Dance playing across a host of sound systems that brings you everything from the main floor EDM noise through to Techno, House and Break based sonic stimulation. The pitch of this event usually builds from a slow start of chilled beats in the afternoon up to a full top speed of boat parties and hands in the air moments past midnight. If you like your hedonistic highs and laser lights put Dimensions down on your list for serious consideration.